Attend conferences, share ideas and converse with respected individuals from the cultural field, all the while developing your professional relationships. Take advantage of the PRO areas, equipped with free wifi so you can continue to work between the events and shows. Ensure your visibility before, during and after the Festival. 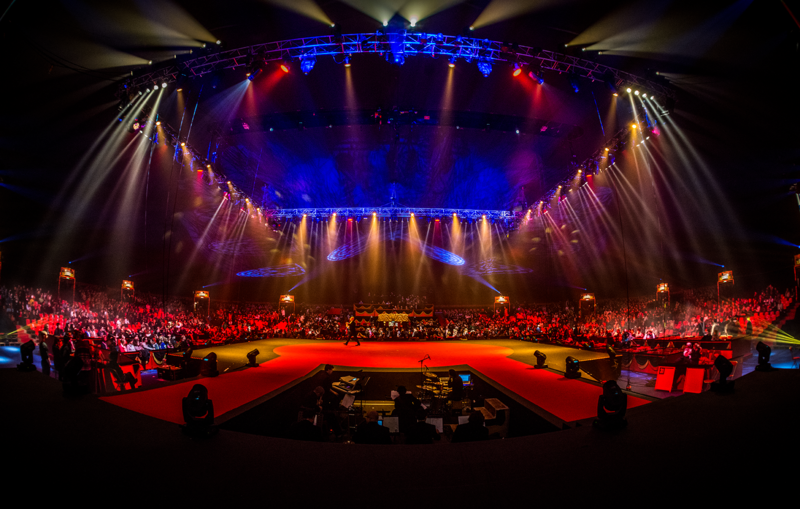 We offer several communication methods: a banner on our website, an advert in the show programme, a stand in your name in the main hall of Cirque Phénix or awarding a prize on behalf of your company to an artist during the Prizewinner Show. You can also spread your news in our newsletter which is sent out throughout the whole year, or even take advantage of the Dome, a presentation space at the disposal of our Partners during the Festival for presentations on their projects and innovations. Provide a unique experience for your contacts beyond the show itself: reserve a box in your company’s name, visit backstage and have your programme signed by the artists or offer a cocktail reception during the intermission. From the beginning, the Association that runs the Festival has been counting on a team of dedicated and passionate volunteers to help them create an event which every year is more spectacular than the last. By becoming a Member or Partner of the Festival you help to ensure its longevity by supporting the Festival team.